This 11 oz. 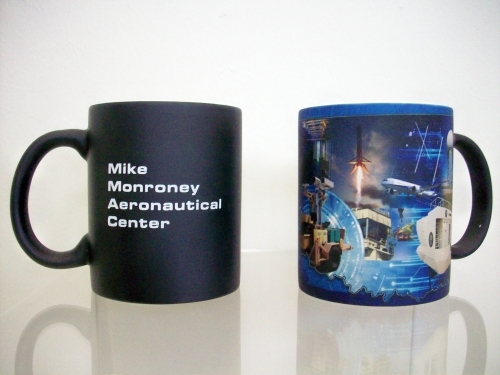 mug changes design when hot liquid is added. 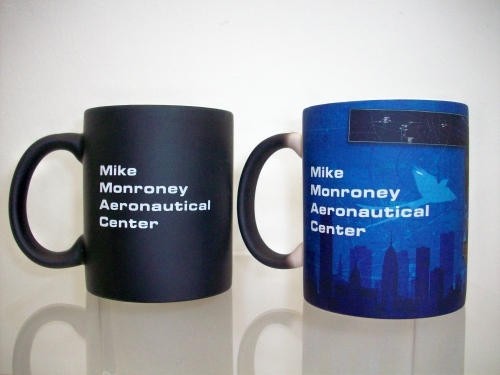 When cold, mug is solid black with Mike Monroney Aeronautical Center in white letters. 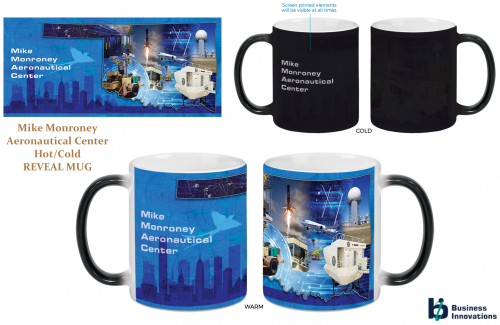 Add hot liquid to reveal beautiful color graphic of MMAC! Microwave safe but hand washing recommended. Machine washing will diminish the color design.